One of the important things about tech, is not only knowing how to use it, but knowing when to use it. For instance, it does you no good to have the latest and greatest of something unless you know the proper time to "pull the trigger". Otherwise it's just a really expensive paper weight. Today's post is going to deal with CBCT or "cone beam computed tomography". This is technology that allows the doctor to see the patient's skull in 3D and helps that doctor see all the underlying structures before beginning a surgical case. The amazing part of this technology is being able to to see everything before the first surgical step is taken. The amount of data accumulated before treatment is started can mean the difference between simple and complicated on one end or wishing there was a better option on the other. The smart minds at i-Cat have now created a 3D Cone Beam system that will allow doctors to take a 3D Cone Beam scan that creates an image utilizing less radiation than a traditional 2D panoramic radiograph. That means that a low resolution 3D scan can be created with less radiation exposure than traditional 2 dimensional panoramic radiographs. It's simply amazing. Will this change the world of dentistry? It's still too early to tell, but the door is starting to swing open. Find out more at at the i-Cat website. Program educates stakeholders throughout the dental industry on the importance of infection control. November 23, 2015. Kerr TotalCare is proud to announce its support for The Organization for Safety, Asepsis and Prevention (OSAP) and its Safest Dental VisitTM program. The Safest Dental Visit is a collaborative effort to support an increased commitment to infection control and safety in dentistry. Dental professionals, thought leaders and key influencers across the industry are joining forces to help ensure that every visit is the safest dental visit for patients and providers. Each stakeholder — clinicians, educators, consultants and dental trade – each have resources specifically tailored to support their role in this vital program. For more information about Kerr TotalCare, visit http://www.kerrdental.com/kerr-totalcare. Charlotte, NC (Nov. 17, 2015) ‐ It’s a bird, it’s a plane, it’s ... Sirona hosting yet another epic event! Sirona Dental, Inc., the leading manufacturer of innovative dental technology, is hosting a superhero‐themed party at the House of Blues on Feb. 26, 2016, in Chicago during the 2016 Chicago Dental Society Midwinter Meeting. This party is a membership benefit of SIROWORLD, Sirona’s new event‐based community. After saving the day, attendees are encouraged to emulate their favorite superheroes by dressing up in tights, capes and masks to celebrate into the night at Sirona’s Superheroes of Dentistry party. “Sirona is known for throwing incredible parties and this party will be no different,” said Sirona Dental, Inc. President Michael Augins. “At the CEREC 30TH Anniversary Celebration in Las Vegas, Sirona hosted the Party Like a Rock Star event in which attendees arrived in their best rock star attire to a club filled with 10 foot laser robots and acrobats swinging from the ceiling! At the Superheroes of Dentistry event we will have more surprises in store for our SIROWORLD community members as our Dental Superheroes party the night away at one of Chicago’s most famous venues, The House of Blues." All SIROWORLD members are invited to join in on this epic night of superhero action. Membership into SIROWORLD includes access to parties like this; along with SIROWORLD’s educational events held at major U.S. trade shows like the Greater New York dental meeting and the CDA South meeting in Anaheim, California. The highlight of SIROWORLD membership is our Inaugural SIROWORLD Celebration in Orlando, Florida where entertainment and education collide at digital dentistry’s premiere event. During these educational events, members can speak to leading experts in the field of digital dentistry and compare stories with fellow members about the technologies that have helped integrate his/her practice into the digital age. A wise (spider)man once said, “With great power, comes great responsibility.” It’s in Sirona’s power to continue throwing legendary events, and it’s your responsibility to join us in the festivity! Pricing for SIROWORLD is now available at $1,995 a year for a membership and $2,995 a year for VIP membership and include entrance into all of the celebration events planned at the trade shows and the annual event in Orlando. Total Office membership packages are currently available for $5,995, for a total savings of $4,000 off list price, and include SIROWORLD membership for up to six people. For more information on SIROWORLD membership and events, please visit www.SIROWORLD.com or call 844.422.3226. It's always nice to see a company reward hard work by students. Trust me when I say that the amount of debt incurred by students going into dentistry is not at a small level. Young people have to really *want* to go into dentistry these days. Being a doctor is a very rewarding profession, but the amount of student loan debt that young people end up with is more than what many consider when they enter the educational process. With that in mind, it's always nice to see companies that are willing to help with educational expenses. My hat is off to the good people at Danaher for helping to make dental education more affordable for deserving candidates. $225,000 in scholarship funds made available to 36 university-bound students. Ida Alfano – child of Kerr Dental associate Francesco Alfano. Ida will attend University of Naples Federico II. Nicholas Do – child of KaVo Kerr Group associate Nguyen Do. Nicholas will attend University of California: Irvine, majoring in Biological Sciences. Alice Miller – Child of Nobel Biocare associate John Miller. Alice will attend University of La Verne, majoring in Biology. The application process was quite rigorous, with recipients selected based on a combination of academic achievement, extracurricular activity involvement and moral character. Administered by Scholarship Management Services on behalf of Danaher, each student will receive between $5,000 and $8,000 to put toward tuition. Since its inception more than a decade ago, the Danaher Scholarship Program has awarded more than $2 million in scholarship dollars to deserving students. Among Fortune 500 companies, the Danaher scholarship program stands out: It ranks in the top 25% of companies for its total distribution and in the top 10% for individual award amounts. KaVo Kerr Group is a global portfolio of leading dental brands that share common values of Trust, Experience, Choices, Quality and Smart Innovation. Brands include KaVoTM, KerrTM, i-CATTM, GendexTM, NOMADTM, DEXISTM, Instrumentarium DentalTM, SOREDEXTM, OrascopticTM, Pelton & CraneTM, MarusTM, PentronTM, OrmcoTM and Implant DirectTM. With over 500 years of combined experience and proven solutions, KaVo Kerr Group uniquely serves 99% of all dental practices. Visit www.kavokerrgroup.com for more information. Developed by NASA for use on the Space Shuttle as well as the International Space Station, the truly is *Rocket Science* for your dental operatory. As we all know, keeping our dental unit water lines clean is a very big deal in clinical dentistry. We have tried all kinds of things in the profession, but it seems there is no one perfect system... until now. 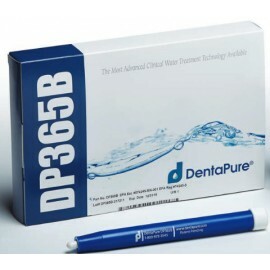 The DentaPure system is a filter that plugs into the water line inside our self contained water bottle system and filters the water using advanced science. Imagine installing a cartridge & not having to do another darn thing for a whole year!!! That is the magic that DentaPure brings to the operatory. We've been using the product for 2 years now and have been thrilled with the results. However, rather than listen to me drone on and on about it, take a look at the webpage created by the company and see the science they have there. Then get on the phone and order DentaPure. 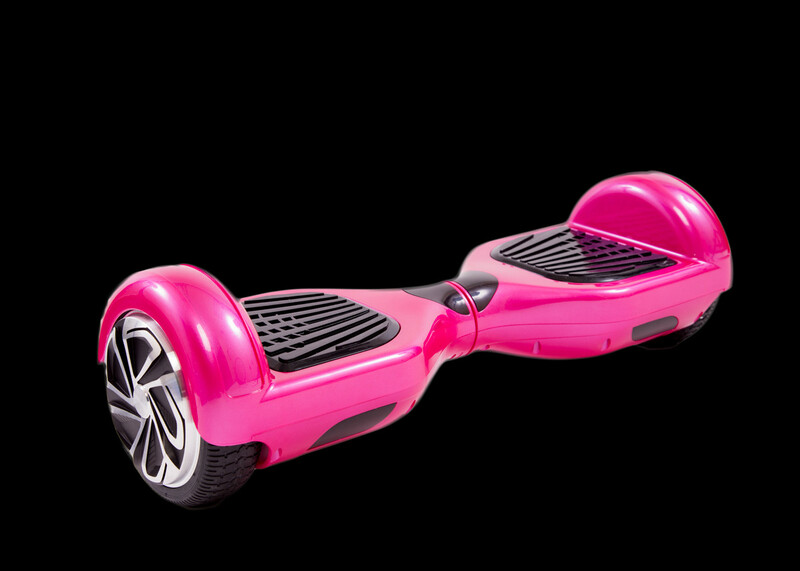 I consider it a "must have" for my office and I think after trying it, you'll consider it a "must have" as well. Well, after I discussed my blog plans in yesterday's post, I received some info which I think deserves to be read and will push the blog updates discussed yesterday, back one day. For those of you who are regular readers, you know how passionate I am about oral cancer and about how I feel that our careers as "head and neck specialists" means that we should do all we can to screen for any type of neoplastic lesions. New York, NY – November 09, 2015 – During the 91st annual Greater New York Dental Meeting, the event’s organizers will be hosting the first International Oral Cancer Symposium on Saturday November 28th for all registered Greater New York Dental Meeting attendees. The all-day event, entitled “The Science and Practice of Treating Head and Neck Cancer,” provides a comprehensive overview of the current surgical and medical management of oral and oropharyngeal cancer patients. Diagnostic criteria and rehabilitative medicine as well as guidelines for oral cancer management will be discussed by leading experts in Otolaryngology, Pathology, Craniofacial Surgery, Oncology and Maxillofacial Prosthetics. Salvatore M. Caruana, MD / "Lumps and Bumps"
Billy Ballard, MD, DDS / "A Pathology Review of Head and Neck Lesions"
Treating Head and Neck Cancer” is sponsored by PeriRx, LLC and the Benco Family Foundation, along with the Columbia University College of Dental Medicine, New York-Presbyterian Hospital, Roswell Park Cancer Institute, Johns Hopkins University, Meharry Medical College Department of Pathology, the Hispanic Dental Association and the National Dental Association. Unfortunately, I will be unable to be in New York this year. However, I feel that the $175.00 cost of the seminar as well as the 7 CEUs is well worth it. We all (doctors and hygienists) need to be doing all that we can to help screen for and eradicate this horrible disease and the suffering it causes for both patients and their families. I sincerely hope many of you can attend. Welcome back to the old blog... as you all know (and if you don't, you've been living in a cave) my beloved KC Royals are now the champions of the world. I've taken some time off to go to the games, and now I'm back refreshed and ready to give you my perspective on baseball and technology in general. We've come a long way, and recently I was looking at the statistics for the blog over the years, I've been closing in on one million blog views. I originally started this blog so I could see the responses to my topics and also get immediate feedback to what I had written rather than waiting for emails or, in the good ol' days, wait for the responses via snail mail. Obviously that doesn't happen any more. Now, I can check the stats on a daily basis and see *exactly* what y'all liked yesterday so with that in mind, I've tried to better tailor the topics. That way I can better provide you, the readers info that better suits you. So... I just returned from Washington DC where I gave 4 presentations over 3 days about leading edge technologies. These included Digital Caries Detection, The Pride Technology Award Winners that I use every day, 3D Cone Beam CBCT from a general dentist's perspective, and a very interesting presentation with my good friends Dr. Paul Feuerstein and Dr. Marty Jablow on "Ask the Experts any question about Technology". The last one was perhaps the best one I was involved with this year. Paul, Marty, and I literally showed up with no *official* presentation prepared. We walked into the room with no slides and 3 laptops. We had a microphone that we could pass around in the audience and attendees could simply ask us any question they wanted to. So... I've decided to do something similar here. I'm going to do a series of posts based on questions on what we were asked as well as covering the topics I and products covered in the Pride lecture as well. As always, I *love* questions so make sure to ask in the comments section. I will start with the Pride piece tomorrow and we may well go into December and we work through this. Also please remember that this could stretch into heaven knows how long. Consequently as current technology news breaks, we may jump out to cover that and then try to circle back to cover we will see how this all goes as time passes. Thanks to all of you who put up with my ramblings here. Without any of you reading my thoughts here, this blog would not exist, but thanks to all of you, this is, according to the stats one of the highest ranking healthcare technology blogs on the 'net. So, tune back in tomorrow and let's get this started. I love tech, but I love baseball even more. With my beloved Kansas City Royals in the Series, I won't be blogging until the games are over. This past spring I did away with cable TV in my office. Time Warner was requiring a cable box in every operatory which would have been a nightmare to install and control. To still provide patient entertainment on the over the chair monitor, we got a subscription to Netflix. Now, no matter what the appointment time is, patients can view a show from the beginning. Something they could never do with cable. We've had zero complaints to this point, just happy patients. I recently read about Netflix now offering one of their own "made for Netflix" movies to be seen in theaters as well as online. Some theater owners feel that the movie Beasts of No Nation will not draw well as folks can just stay home & watch it instead of paying a theater for a ticket. It's an interesting business model. Some think they are doing it just to get an Oscar nomination because that requires the picture to be shown in theaters. If you have gotten a new credit card or received a replacement card in the U.S. recently, you may have noticed a small chip embedded in the card. 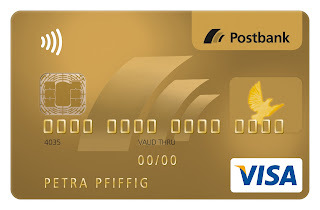 These "chip cards" have been in use in Europe for some time now, but just came to the States recently. One of the primary functions of the chip is to verify your PIN. 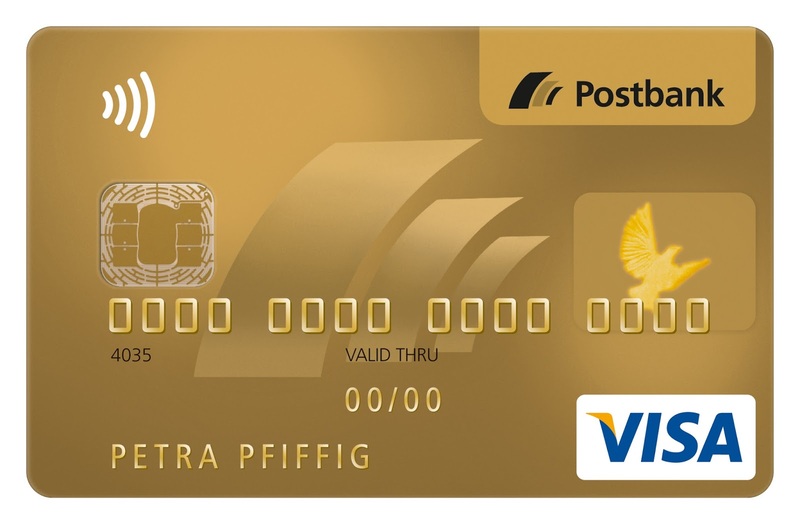 When you swipe the card & enter your PIN, the card reader communicates with the chip to make sure the PIN on the chip matches the one entered by the individual. Pretty safe, right? Well it is unless you're a crook. It seems some European scam artists glued another chip on top of the real one and then had it coded to intercept the real chip & then allow *any* PIN number entered to be considered legitimate. It goes to show you, as my grandfather used to say, "Locks are to keep honest people honest." If you are a diehard geek like me, you'll want to read the paper written by French digital forensic specialists that explains how they did it. 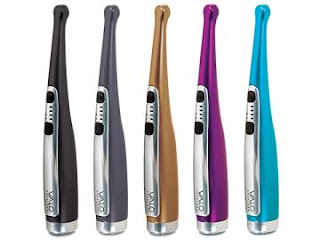 The Advantages of the Ultradent Valo Curing Light. There are a lot of fine curing lights on the market today. However, in my opinion one stands a bit taller than all the rest. That one is the Ultradent Valo curing light. The Valo is a standout unit for a number of reasons and that is why, year after year, it has won The Best of Class Technology Award, or which I am a voting panel member. So how does the VALO curing light give you so much power in so little time? Accessibility: The VALO curing light's low-profile head allows for easy and direct access to any restoration site, which means that the light can reach all aspects of the preparation. Power: The optimally collimated beam ensures that the VALO curing light maintains its power density and cures uniformly over a range of surfaces and working distances. The VALO curing light can polymerize any resin from up to 10mm from the restoration site. Versatility: The custom, multiwavelength LEDs produce high-intensity light at 395–480nm, which is capable of polymerizing all light-cured dental materials no matter the proprietary product used. The VALO curing light also operates in Standard Power and High Power modes. In Standard Power mode, a 10-second cure provides 1000mW/ cm.2 A 4-second cure in High Power provides 1400mW/cm2 and should only be used for tacking. Who knew three seconds could be worth so much? Here is an interesting bit of news that I recently stumbled upon. It seems that two genetic scientists at UCLA believe they may have discovered a saliva test to determine if a man is gay. Researchers in dentistry has been working on several saliva tests in the past few years to indicate all kinds of predictive genetic traits and to also screen for the likelihood of developing cavities. However, up until this point, the tests are for disease & genetic problems. I'm not sure what to think of this news. The sample size is pretty small and the study has not been published in a peer reviewed journal (although that isn't the end all be all of accurate research). Drs. Joseph Massad and David Little will lead a three-hour Education in the Round course on Nov. 7 wrapping up an 18-month journey of a full-mouth reconstruction procedure on Robert “Bob” Hartman (course 7402). Learning objectives of the course include understanding and recording the esthetic and functional space before extractions and implant placement; making an accurate full-mouth implant impression in 20 minutes; understanding why verification jigs are important to success; and delivering a mandibular/maxillary implant prosthesis with accuracy. The previous treatments over the last 18 months have all been documented in the ‘Follow Bob’ series. Visit ADA.org/meeting to register for the ADA 2015 annual meeting and register for the course today. Fees increase today at 5 p.m. CDT. This also marks the ADA 2015 housing deadline. A limited number of hotels may have availability beyond this date. 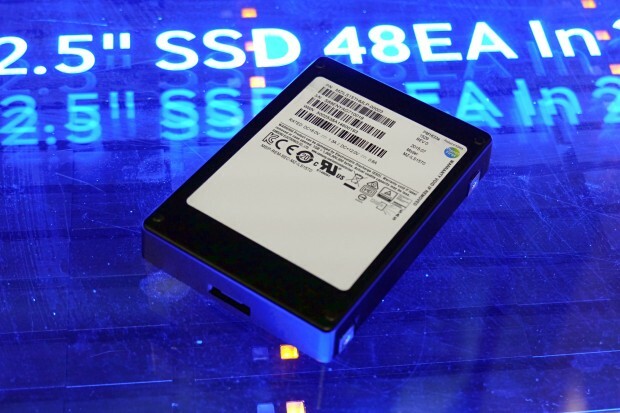 Samsung has announced what is being hailed as the world's largest hard drive. 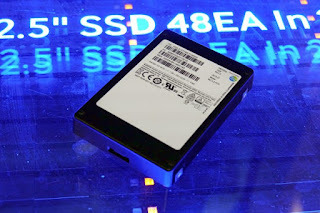 This SSD (solid state drive) has no spinning platters and a 16 terabyte capacity. That's just stunning. 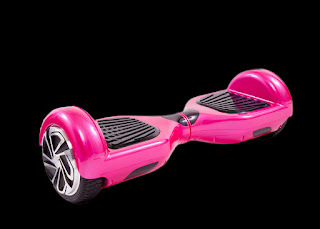 No word on the price yet, but this thing will not be cheap. Of course as time passes we will be fondly remembering the days when we thought this thing was a monster. Dr. Stuart M. Hirsch leads team to study prevalence of periodontal disease in diabetic patients. Dr. Stuart M. Hirsch, Vice Dean of International Initiatives, Development & Students at the New York University (NYU) College of Dentistry, first visited Ghana approximately five years ago. NYU had students studying in Ghana, and was looking for joint opportunities with the University of Ghana to expand its presence. Dr. Hirsch and the NYU team — Rachel Hill, Dr. Peter Loomer and Hannah Coakley — and the doctors and staff at the Korle-Bu Teaching Hospital and Dental School were interested in finding out the prevalence of periodontal disease in diabetic patients at the hospital. Type II diabetes is increasing around the world and there is mounting data that suggests an oral-systemic link. What does limited mean, in real terms? Consider first, that in the United States, the ratio of patients to dentists is 2,500 to 1. In the developing world, that number is as high as 180,000 to 1. The hardship is great, as is the need for realistic solutions. This study in Ghana looks at a 220-person patient group. 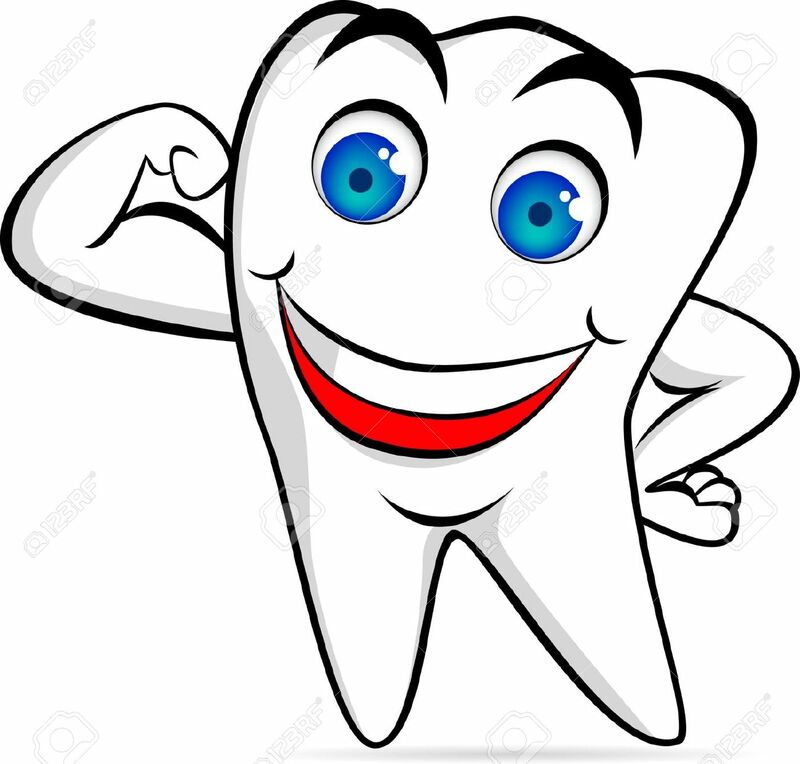 Each individual had a health history taken, as well as Hemoglobin A1c (HbA1c) measurement and a panoramic radiograph to assess the percentage of bone loss around individual’s teeth. Barbara Nordquist, the VP for Academic Sales & Professional Relations at KaVo Kerr Group, was instrumental in making the donation possible, in coordination with Brian Broncatti, Senior Regional Sales Manager for Instrumentarium. Having worked with Nordquist for a number of years, and recently at NYU on choosing Pelton & CraneTM equipment for a clinic renovation, Dr. Hirsch turned to her for help on the Ghana project. In addition to providing the necessary imaging equipment, KaVo Kerr Group provided on-site training for the team in Ghana, facilitated by David Bangert, VP/GM of Special Markets for KaVo Kerr Group, who traveled to the country himself. In addition to setting up the team for success, he made himself available for ongoing support during the study. At this point, the data collection in Ghana is complete. Dr. Hirsch intends to have a small group of post-doctoral students help analyze the data — primarily reading the digital panoramic radiographs — with a targeted completion date of Fall 2015. Dr. Hirsch believes that there will be strong correlations between diabetes and periodontal disease, demonstrated by loss of bone as well as soft tissue. With that analysis in hand, the real work can begin. This is why the dual work of helping patients understand the connections between diabetes and periodontal disease is the first phase; it can help create the motivation necessary for preventive care. 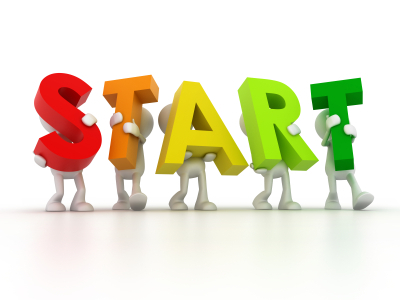 The second is to figure out what simple, sustainable, preventive care measures can be employed. I wanted to take this opportunity to give a big "thank you" to my friends in Texas for the invitation to speak at the Texas AGD annual meeting. Last week I had the good fortune of heading down to Austin, Tx to spend some time lecturing and socializing with a great group of Texas dentists. 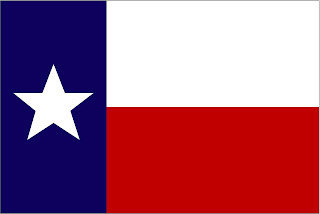 Many of the doctors in Texas are very involved with organized dentistry and over the years I've gotten to be pretty good friends with quite a few of them. I commented on Friday that it was almost like giving a lecture in the Kansas City area since looking out into the audience gave me the feeling of talking in front of a large group of my friends. It was a great meeting and Austin (it was my first visit to the city) is a beautiful place. If you ever get the chance to attend this meeting, you won't be disappointed. DENTSPLY International Inc. (“DENTSPLY”) and Sirona Dental Systems, Inc. (“Sirona”) announced today that Boards of Directors of both companies have unanimously approved a definitive merger agreement which will result in the world’s leading manufacturer of professional dental products and technologies. The combination will create a combined company with the largest sales and service infrastructure in dental with 15,000 employees globally. The combined company, supported by its leading platforms in consumables, equipment and technology, will offer a powerful set of complementary offerings and end-to-end solutions to enhance patient care. Dental professionals across the globe will be supported by the largest sales and service infrastructure in the industry, supported by leading distributors, to deliver an optimized product range that will meet the increasing global demand for digital dentistry and integrated solutions. The combined company will be called DENTSPLY SIRONA and trade on the NASDAQ under the symbol XRAY. DENTSPLY SIRONA’s Global headquarters will be located in York, PA, the location of DENTSPLY’s current headquarters, while the International headquarters will be located in Salzburg, Austria. Upon closing of the transaction, Jeffrey T. Slovin, President and Chief Executive Officer of Sirona, will serve as Chief Executive Officer of the combined company and will be a member of the Board of Directors. Bret W. Wise, Chairman and Chief Executive Officer of DENTSPLY, will serve as Executive Chairman of the combined company. The Executive Chairman will work in collaboration with the CEO to execute the corporate strategy and to integrate the companies and cultures. From DENTSPLY, Christopher T. Clark and James G. Mosch will serve as President and Chief Operating Officer, Technologies and President and Chief Operating Officer, Dental and Healthcare Consumables, respectively. From Sirona, Ulrich Michel will serve as Executive Vice President and Chief Financial Officer. The Board of Directors will consist of 11 members, six of which (including Mr. Wise) are current DENTSPLY directors and five of which (including Mr. Slovin) are current Sirona directors. Additional senior leadership positions at DENTSPLY SIRONA will be named at a later date consisting of representatives from both companies. The transaction, which is expected to be completed in the first quarter of 2016, is subject to the receipt of certain regulatory approvals and other customary closing conditions and approvals. Increased Scale and Product Breadth: The combination will result in a company with net revenue of approximately $3.8 billion and adjusted EBITDA of more than $900 million, excluding the incremental benefit of synergies. The combined company will have the industry’s largest sales and service infrastructure, supported by leading distributors. Total Solutions Provider: With consumables, equipment and technology under one roof, the new company will be able to deliver digital technologies and integrated solutions and workflows to enhance efficiency and patient care for general practitioners and specialists. Strong Commitment to Innovation: The combined company will have an enhanced commitment to innovation in consumables, equipment and technology. By leveraging both companies’ significant R&D capabilities across DENTSPLY’s world-class materials science expertise and Sirona’s industry-leading technology platform, the broadened product offering will support the combined company’s position as a leading innovator in the dental market. DENTSPLY SIRONA will have over 600 scientists and R&D staff working to accelerate the development of new, better, safer and more efficient dental solutions and procedures. Experienced Management Team: The combined company will be led by the most experienced management team in the dental industry, with strong track records of growth and leadership in developing differentiated global product offerings. 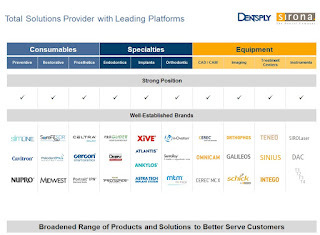 The DENTSPLY and Sirona teams have a successful history collaborating in a number of product categories. 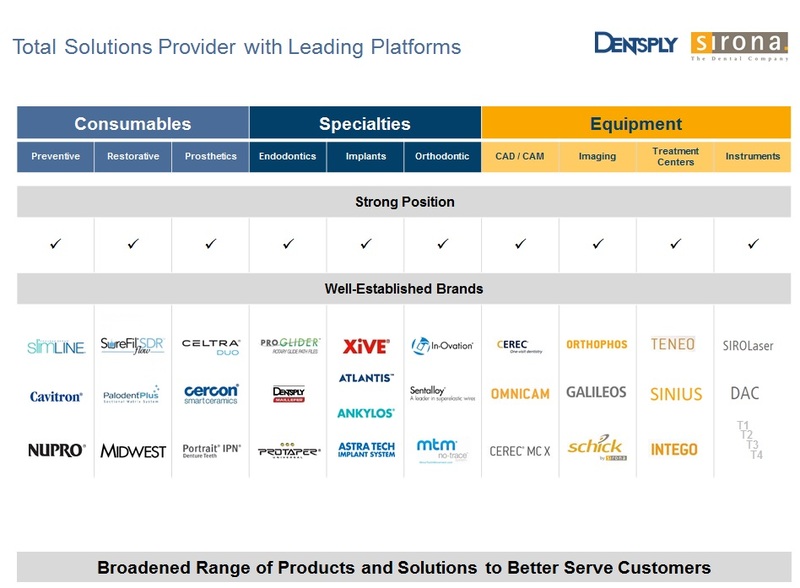 DENTSPLY International Inc. is a leading manufacturer and distributor of dental and other consumable medical device products. The Company believes it is the world's largest manufacturer of consumable dental products for the professional dental market. For over a century, DENTSPLY's commitment to innovation and professional collaboration has enhanced its portfolio of branded consumables and small equipment. 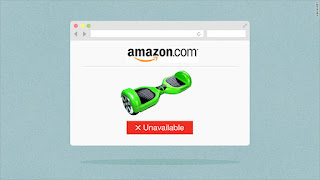 Headquartered in the United States, the Company has global operations with sales in more than 120 countries. 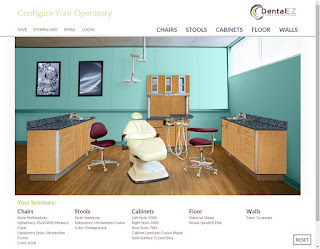 Visit www.DENTSPLY.com for more information about DENTSPLY and its products.